The 14 proposals given to the Boston School Committee. Ironically, the catalyst for the movement happened the same day Governor George Wallace barred black students from entering the University of Alabama and John F. Kennedy gave his civil rights is a “moral issue” speech. 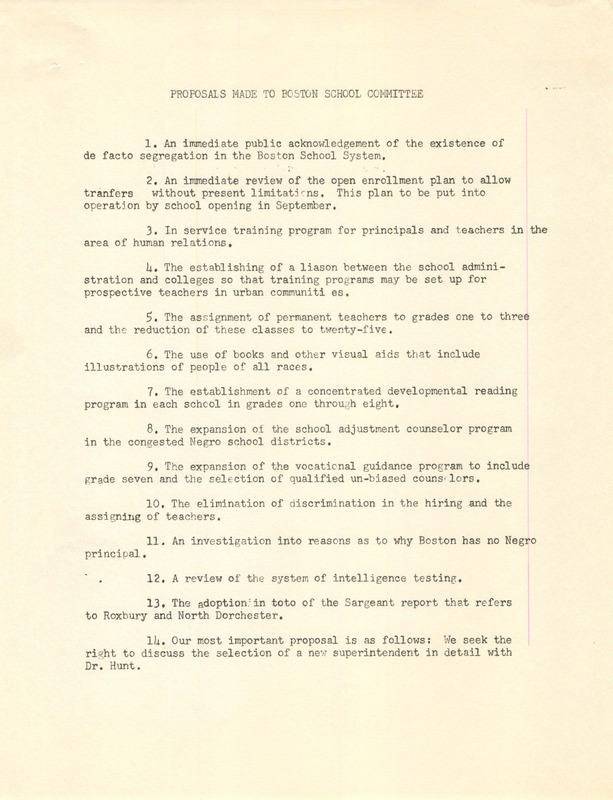 On June 11, 1963, the Boston NCAAP Education Committee, attended a Boston School Committees (BCS) meeting and staged a sit-in. 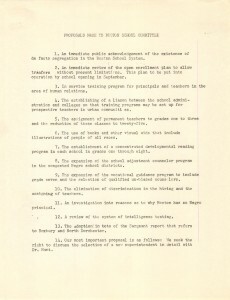 Chaired by Ruth Batson, and other concerned members of the community, the Education Committee presented 14 demands that included eliminating inequality and “an immediate public acknowledgment of the existence of de facto segregation in the Boston Public School system.” The BSC brushed off these demands as demonstrating the feelings of only a small group. However, this sit-in became a turning point. 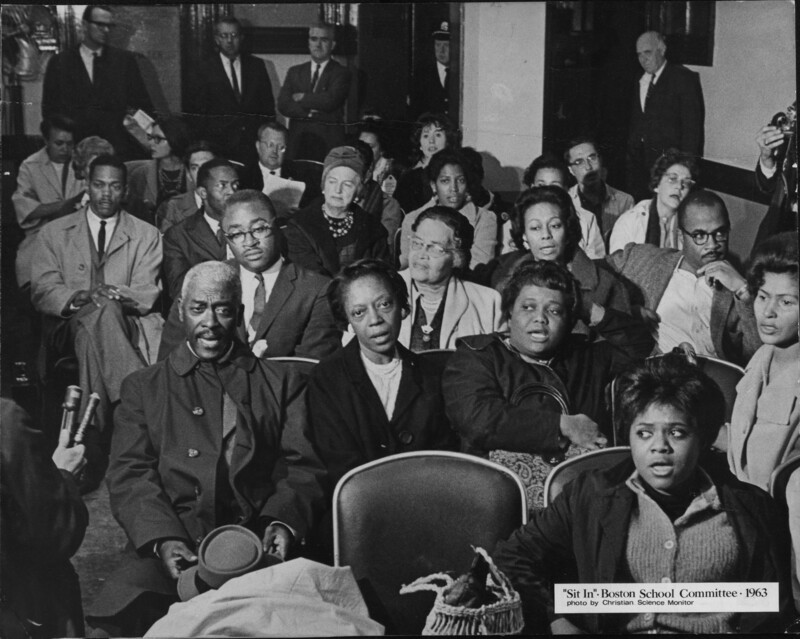 Parents and Community Leaders at the first sit-in in June 1963.